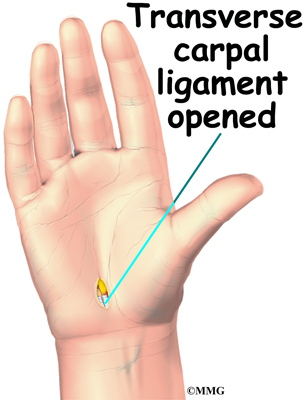 Carpal tunnel syndrome (CTS) is a common problem affecting the hand and wrist. 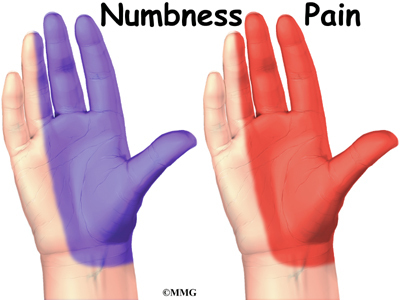 Symptoms begin when the median nerve gets squeezed inside the carpal tunnel of the wrist, a medical condition known asnerve entrapment or compressive neuropathy. 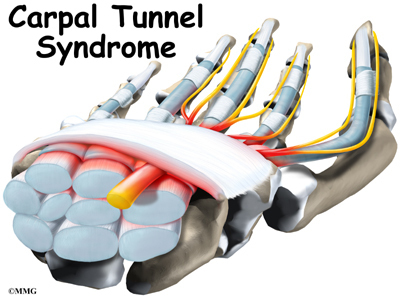 Any condition that decreases the size of the carpal tunnel or enlarges the tissues inside the tunnel can produce the symptoms of CTS. 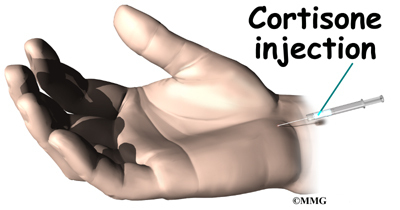 Endoscopic ReleaseSome surgeons are using a newer procedure called endoscopic carpal tunnel release. 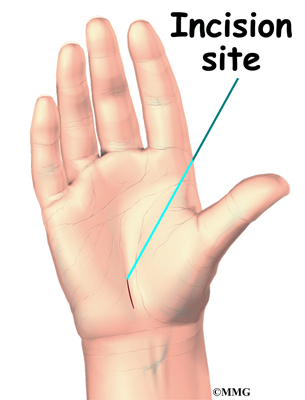 The surgeon merely nicks the skin in order to make one or two small openings for inserting the endoscope. An endoscopeis a thin, fiber-optic TV camera that allows the surgeon to see inside the carpal tunnel as the transverse carpal ligament is carefully released.